Get Waited On By A Penguin At Premiere! Ever been waited on by a penguin? Now's your chance! 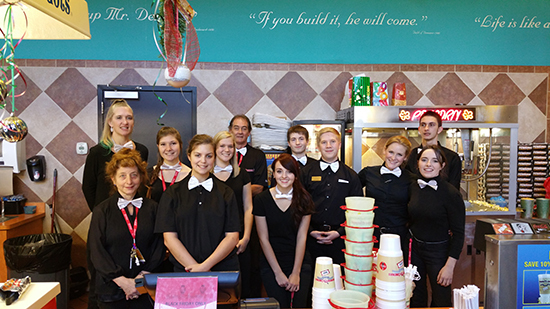 Hurry in to Premiere Cinemas in the Eastern Shore Centre in Spanish Fort, AL and get your fill of penguin-themed service but with warm smiles! It's all in celebration of the "Penguins of Madagascar" now showing on the great big screen at a Premiere Cinema near you! While you're there, don't forget your frigid ice-cold movie treats like Dippin Dots Ice Cream, ICEE Frozen Drinks, and Ice Cold Coca Cola Products every day!